Aldi's Advent calendars go on sale on Nov. 7. UPDATED: At many Aldi stores across the country, the wine and cheese Advent calendars sold out within minutes. 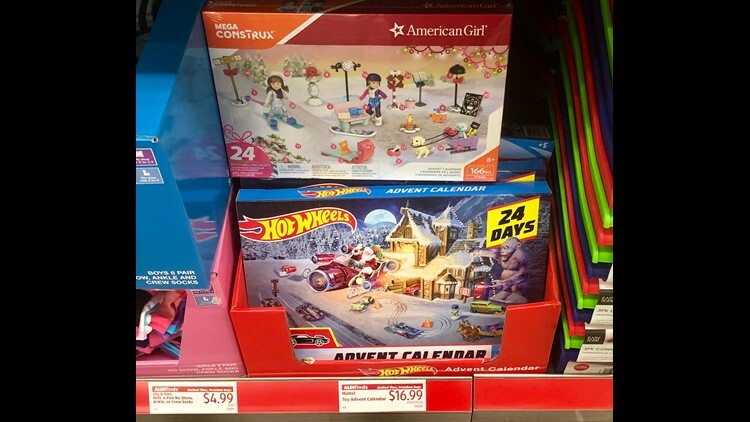 Candy calendars also are available and toy Advent calendars with choice of Hot Wheels or American Girl toys. See latest story here. When stores open at 9 a.m. Wednesday, Aldi will start selling two Advent calendars, one with wine and the other with imported cheese. Hours can vary by location, but these special edition items will only be available while supplies last. 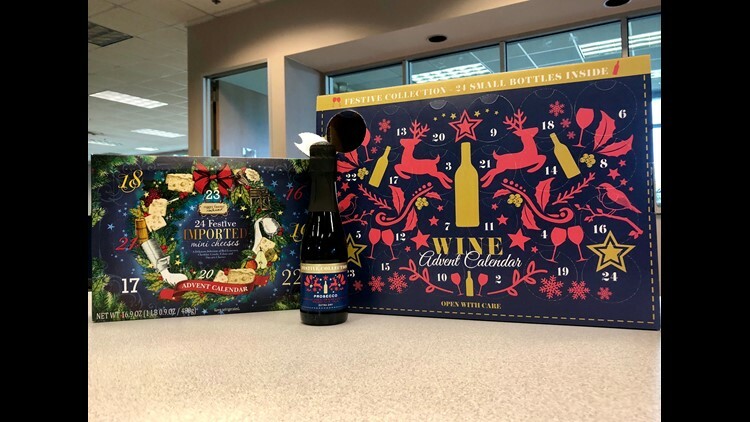 Weighing in at 21 pounds, the Festive Collection Wine Advent Calendar features 24 mini bottles of 12 different varietiesand will cost $69.99 or $2.92 for each 6.37-ounce bottle. Holiday revelers can drink the vino in conjunction with the Advent, the religious days leading up to Christmas Eve. Wines included in the calendar are red, white, rosé and sparkling, including a red blend, Shiraz, Malbec, Pinot Grigio, and Sauvignon Blanc. The wines hail from Chile, Argentina, Italy, Australia, and South Africa. The Happy Farms Preferred Advent Cheese Calendar also is expected to be popular and costs $12.99. This 16.9-ounce calendar needs to be refrigerated and includes 24 imported mini cheeses in five varieties: cheddar, Red Leicester, Gouda, Edam, and Havarti. If you can't get to the store on Wednesday, you might be out of luck. Not all Aldi stores sell wine since some states and cities do not allow grocery stores to sell alcohol. Find locations that sell wine at www.aldi.us.